Dr. John B. (Bart) Pope completed his Family Medicine residency at Louisiana State University Medical Center in Shreveport in 1991 serving as chief resident. After residency Dr. Pope joined the Department of Family Medicine and Comprehensive Care at LSUHSC as an Assistant Professor of Clinical Family Medicine, promoting to Associate Professor in 1996 and to Professor of Clinical Family Medicine in 2003. He was Procedure Program Coordinator for the Department of Family Medicine from 1991-2010, teaching gastrointestinal endoscopy, cardiac stress testing, colposcopy, and other procedures to residents. 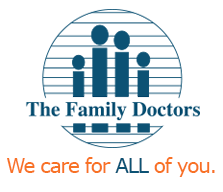 Dr. Pope has served on the lecture faculty and procedure faculty of the American Academy of Family Physicians and The National Procedure Institute; lecturing and conducting dozens of workshops nationally on various clinical procedures and topics for practicing family physicians and residents. He has also lectured on various gastroenterology topics for the AAFP Scientific Assemblies and AAFP Board Review Courses. Dr. Pope has multiple publications in peer-reviewed journals and textbooks and has participated in NIH funded research. He has served on advisory committees for the American Cancer Society in the area of Colorectal Cancer Screening. In 2004 Dr. Pope was elected an alumni member of the Alpha Omega Alpha Medical Honor Society. 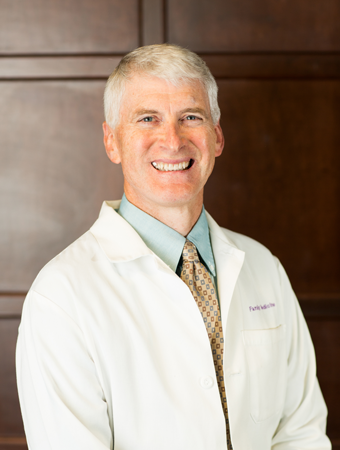 Dr. Pope entered private practice at the Healthplex Family Clinic in 2010 in Shreveport where he practiced until joining The Family Doctors in 2018. Dr. Pope continues to perform GI endoscopy as part of his practice as well as other procedures. He is certified to perform DOT physicals. Dr. Pope is married to Linda and has 3 married children. He is an active member of Broadmoor Baptist Church where he sings in the Sanctuary Choir and serves as a deacon and Bible teacher. He has served on multiple international medical mission trips. When not practicing medicine or spending time with family, Dr. Pope enjoys duck hunting, fishing, and playing tennis.